The truth is, I’m a good man with a good heart, with a creative mind, but in life like many others, I’ve made improper decisions. The truth is, I’m a man that needed to craft his skills that laid deep within me, and as crazy as it may seem, prison has helped me free, mold, and mold and craft my skillful abilities into beneficial talents. But God is the one who has given me true knowledge and understanding. The truh is, I love kids, kids put a smile on your heart, and they make you a better person. 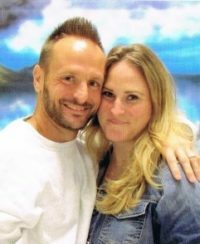 So, I regret several abortions in the past which have left me childless, except for my child in heart an spirit, Miracle Unique. The truth is, I ‘very always wanted, or more like needed a good woman in my life, a woman I could become great with, a woman I could build with , a woman who has conversation, whose a seeker and has goals in life. A woman who can positively encourage me as I encourage her. A woman who wants more in life, someone I can create an empire with. Someone who believes in my me and my mind, and the creations that lie within me. Truth is, a great woman brings out the greatness within a man. I’m a man with a need for a woman with similar morals as mine. A loyal, carrying, and loving woman who knows how to express herself and her love. A woman who is real no matter what another may feel. Yes, I’ll admit it, the truth is I’ve dealt with some woman that could never fit the description of my woman to be character or even come close. Those were woman I’ve dealt with in my OLD life style, a life style that’s dead and gone so now I press on in search for a real woman to be, my Queen, my all, my love and my everything. A woman to care for and hold as holding a new born child of joy. The truth is, I’m innocent but you say I’m guilty, the truth is, i’m innocent but you say I’m guilty so you incarcerate another black man in America and say “I’m guilty until proven innocent!” But isn’t it supposd to be the other way around? So I say, show the evidence, as the courts say, present factual proof, bring your eye-witnessses, you can’t! Explain how all your evidence truthfully points to the State’s star witness as the murder suspect. The true evidence brings not only Reasonable Doubt to my allege guilt, but in all actuality it’s exculpatory evidence on my behalf, but they don’t want to admit this truth. Because of this a large portion of African-American man sit behind these same prison walls that now inclose around me. This is the truth of my untold story. The truth is, I have a purpose in life and I know what it is, and my purpose isn’t sitting here behind these walls. But behind these walls I see many men who don’t live as if they have a purpose in life, or they just don’t care to know their purpose. Even in the world I see and know many who live day by day who don’t seek to be great and live without a purpose, individuals who don’t aim to turn their dreams into a reality. The truth is, there’s so many people who are okay with living regular , and achieving nothing that can be deemed greatness. There are many all over the world who’ve achieved greatness, but I’m referring to my people, my people who live in neighborhoods like mine, you can call it the hood if you’d like. But in the urban communities there’s so much potentiial in people who are from where I am from as there is in others in every hood all over. But to many people lack dedication and strive. I use to lack dedication, strive and ambition. One thing I know is that every hood has greatness, it’s like a star that you have to find to see it’s shining light, it’s like a parament’s perplexing inner structure that you have to decipher. Once you’ve figured it out, your greatness will shine like a star and sets your greatness free through the parament’s entrance gateway to it’s tressure’s….. So tell me, what is your Truth? To email me directly download he JPay App, or go to WWW.Jpay.com, open an account and add me. All you need is my name, SBI#000830254-C, and the state I’m in.